Rap or Go to the League is the fifth studio album by American rapper 2 Chainz, released on March 1, 2019, through Gamebread and Def Jam Recordings. It follows his previous album, Pretty Girls Like Trap Music (2017), and contains guest appearances from Ariana Grande, Chance the Rapper, E-40, Kendrick Lamar, Kodak Black, Lil Wayne, Marsha Ambrosius, Travis Scott, Ty Dolla Sign, and Young Thug. Meanwhile, production is handled by a variety of producers, including 9th Wonder, Da Honorable C.N.O.T.E., Mike Dean, Mustard, Pharrell Williams, Terrace Martin, and WondaGurl, among others, and it is executively produced by LeBron James. Pretty Girls Like Trap Music is the fourth studio album by American rapper 2 Chainz. It was issued on June 16, 2017, by Def Jam Recordings, as the follow-up to ColleGrove, his 2016 collaborative effort with Lil Wayne. The album features guest appearances from Jhené Aiko, Drake, Gucci Mane, Swae Lee, Migos, Nicki Minaj, Monica, Pharrell, Quavo, Travis Scott, Trey Songz and Ty Dolla Sign. The album's production was handled by FKi, Honorable C.N.O.T.E., Mike Dean, Mike Will Made It and Murda Beatz, among others. The Play Don't Care Who Makes It is the fourth extended play (EP) by American rapper 2 Chainz, released on February 8, 2018, by Def Jam Recordings. The EP features guest appearances from YG and Offset. It was also produced by T-Minus, June James, Nonstop Da Hitman and Streetrunner, among others. 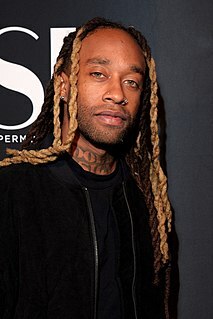 Tyrone William Griffin Jr., known professionally as Ty Dolla Sign, is an American singer, songwriter, and record producer. He first gained major recognition in 2010 for his guest feature on YG's "Toot It and Boot It", which he had written and produced for Def Jam Recordings. In the summer of 2013, he signed a record deal with Wiz Khalifa's Taylor Gang Records. In November 2015, he released his debut studio album, Free TC, which peaked at number 14 on the Billboard 200. 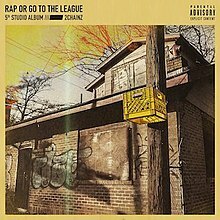 Rap or Go to the League debuted at number four on the US Billboard 200 with 65,000 album-equivalent units (of which 13,000 were pure album sales). Credits adapted from Tidal  , album's liner notes and Instagram. Credits adapted from Tidal  and album's liner notes. So Far Gone is the third official mixtape by Canadian rapper Drake; it was released on February 13, 2009, under his October's Very Own label. The mixtape proved to be a major catalyst in the launching of Drake's career on an international scale, and was universally well received by professional critics and hip-hop fans alike. Based on a T.R.U. Story is the debut studio album by American rapper 2 Chainz. It was released on August 14, 2012, by Def Jam Recordings. The album features guest appearances from fellow rappers Lil Wayne, Drake, Kanye West, Nicki Minaj and Playaz Circle cohort Dolla Boy, along with singer-songwriters The-Dream, Mike Posner, The Weeknd and Chris Brown. The album's production was handled by Brick Squad Monopoly's Southside, Mike Will Made It, Sonny Digital, Kanye West, Hit-Boy, Drumma Boy, DJ Mustard, Mr. Bangladesh and DJ Spinz, among others. Grateful is the tenth studio album by American hip hop producer DJ Khaled, released on June 23, 2017 by We the Best Music Group and Epic Records. 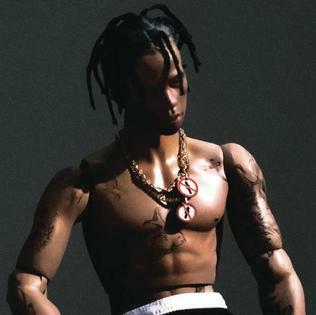 The album features guest appearances from a wide array of artists including Future, Travis Scott, Rick Ross, Migos, Chance the Rapper, Nicki Minaj, Kodak Black, Alicia Keys, Beyoncé, Jay-Z, Justin Bieber, Lil Wayne, 2 Chainz, Drake, Rihanna, Sizzla, Mavado, Nas, Calvin Harris, PARTYNEXTDOOR, Jeremih, Pusha T and Betty Wright, among others. Luv Is Rage 2 is the debut studio album by American rapper Lil Uzi Vert. It was released on August 25, 2017, by Atlantic Records and Generation Now. 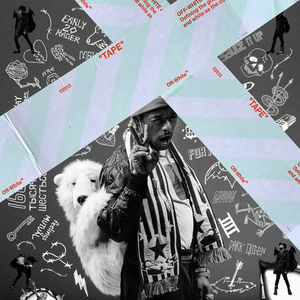 The album serves as a sequel to Uzi Vert's commercial debut mixtape Luv Is Rage (2015). It features guest appearances from The Weeknd, Oh Wonder and Pharrell Williams. 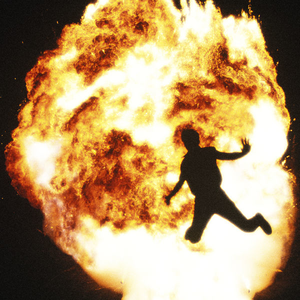 Not All Heroes Wear Capes is the debut studio album by American record producer Metro Boomin. It was first announced on October 31, 2018 and released on November 2, 2018, by Boominati Worldwide and Republic Records. It features multiple guest appearances from Travis Scott, 21 Savage, Swae Lee, Gunna, Young Thug, Wizkid and Offset, as well as appearances from Gucci Mane, J Balvin, Kodak Black, and Drake. The album is supported by the singles, "No Complaints" and "Space Cadet." Morning After is the second studio album by Canadian R&B duo dvsn. It was released on October 13, 2017, by OVO Sound and Warner Bros. Records. 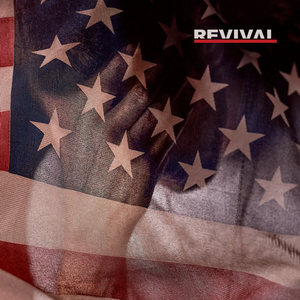 Revival is the ninth studio album by American rapper Eminem. The album was released on December 15, 2017, through Aftermath Entertainment, Shady Records and Interscope Records. 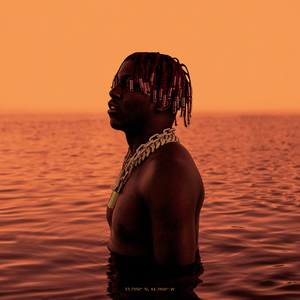 Lil Boat 2 is the second studio album by American rapper Lil Yachty. It was released on March 9, 2018, by Capitol Records, Motown and Quality Control Music. The album features guest appearances from Quality Control labelmates Quavo and Offset of Migos and Lil Baby, alongside 2 Chainz, Trippie Redd, Lil Pump, YoungBoy Never Broke Again and Tee Grizzley, among others. Bobby Tarantino II is the seventh mixtape by American rapper and musician Logic. It was released on March 9, 2018, through Def Jam Recordings and Visionary Music Group. The mixtape features guest appearances from Logic's alter-ego, Young Sinatra, alongside 2 Chainz, Big Sean and Wiz Khalifa, with the production handled by Illmind, Marshmello and 6ix, among others. 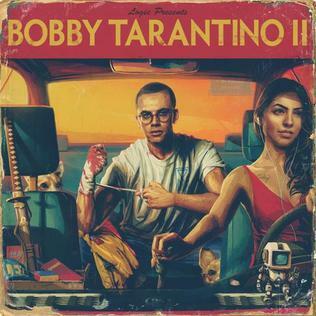 Bobby Tarantino II serves as a sequel to Logic's mixtape, Bobby Tarantino (2016). 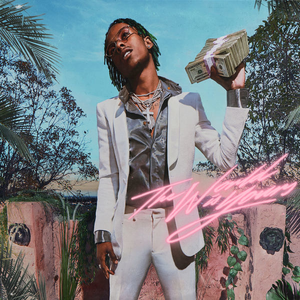 The World Is Yours 2 is the second studio album by American rapper Rich the Kid. It was released through Interscope Records and Rich Forever Music on March 22, 2019, and follows its predecessor, The World Is Yours (2018). The album features guest appearances from Big Sean, YoungBoy Never Broke Again, Lil Pump, Takeoff, Offset, Tory Lanez, Young Thug, Gunna, Miguel, A Boogie wit da Hoodie, Gucci Mane, Jay Critch, Nav, and Ty Dolla Sign. 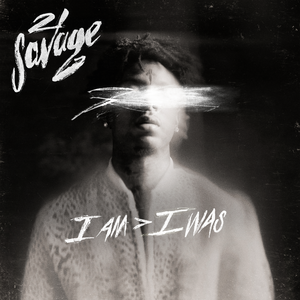 I Am > I Was is the second studio album by rapper 21 Savage, released on December 21, 2018. I Am > I Was features vocals by J. Cole, Childish Gambino, Schoolboy Q, Post Malone, Offset, Lil Baby, Gunna, and Travis Scott, among others. "Rule the World" is a song by American rapper 2 Chainz from his fifth studio album Rap or Go to the League. The song features American singer Ariana Grande. 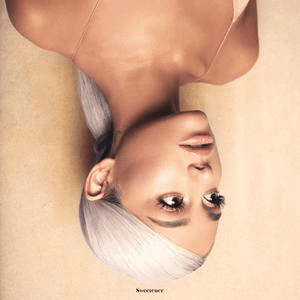 It was released on March 19, 2019 as the second single. It samples Why Don't We Fall in Love by Amerie. Shelby is the second studio album by American rapper Lil Skies. It was released on March 1, 2019 via Atlantic Records. The album features guest appearances from Gucci Mane, Gunna and Landon Cube. Shelby debuted at number 5 on the Billboard 200. 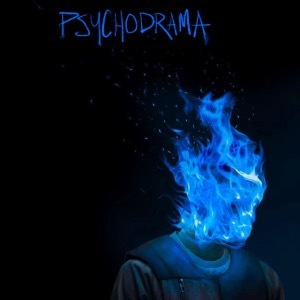 Psychodrama is the debut studio album by English rapper Dave, released on 8 March 2019. It follows the critical acclaim and commercial success of his first two EPs, Six Paths (2016) and Game Over (2017). It was supported by two singles, "Black", released on 21 February 2019 and "Streatham", released on 7 March 2019, and features guest appearances from J Hus, Burna Boy and Ruelle. Bad Habits is the second studio album by Canadian rapper Nav. It was released on March 22, 2019, by XO Records and Republic Records. It follows his previous album, Reckless, released earlier in 2018, as well as his Brown Boy EP, released a week before Bad Habits. ↑ "Rap Or Go To The League". Metacritic . Retrieved March 9, 2019. ↑ Hobbs, Thomas (March 4, 2019). 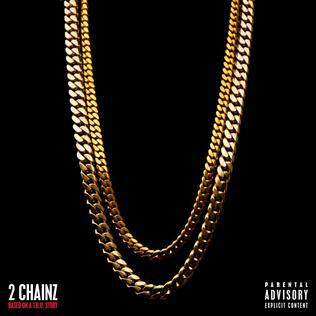 "2 Chainz – 'Rap Or Go To The League' review". NME . Retrieved March 6, 2019. ↑ Pearce, Sheldon (March 6, 2019). "2 Chainz: Rap or Go to the League". Pitchfork . Retrieved March 6, 2019. ↑ Breihan, Tom (February 19, 2018). "2 Chainz Announces New Album 'Rap or Go to the League'". Billboard . Retrieved February 26, 2019. ↑ Hore-Thorburn, Isabelle (February 26, 2019). "2 Chainz Reveals Official Cover Art for 'Rap or Go to the League'". Highsnobiety . Retrieved February 26, 2019. ↑ Gore, Sydney (February 19, 2019). "2 Chainz Reveals LeBron James as A&R on Next Album". Highsnobiety. Retrieved February 26, 2019. ↑ Strauss, Matthew (February 28, 2019). "2 Chainz Details New Album: Kendrick Lamar, Chance, Ariana Grande, Travis Scott, and More". Pitchfork . Retrieved February 28, 2019. ↑ Holmes, Charles (November 16, 2018). "Don't Eat 'Hot Wings' Around 2 Chainz". Rolling Stone . 1 2 "Rap Or Go To The League / 2 Chainz – TIDAL". Tidal . Retrieved March 1, 2019. ↑ "@iam30roc on Instagram: #4StatueOfLimitations (Prod.By Me and my brother @mikewillmadeit )". Instagram. March 1, 2019. Archived from the original on March 1, 2019. Retrieved March 1, 2019. ↑ "@gylttryp on Instagram: @2chainz - 2 Dollar Bill ft. @liltunechi & @e40 Produced by @mustard x GYLTTRYP & @terracemartin)". Instagram. March 1, 2019. Archived from the original on March 1, 2019. Retrieved March 1, 2019. ↑ Rinder, Grant (March 2, 2019). "2 Chainz Samples JAY-Z & Addresses Murder of Lil Fate's Son on "Forgiven"". Genius . Retrieved April 13, 2019. ↑ Bernucca, Carolyn; Wines, Tiffany; Skelton, Eric; Tharpe, Frazier (March 1, 2019). "The Best New Music This Week". Complex . Retrieved March 3, 2019. ↑ Gallagher, Caitlin (March 1, 2019). 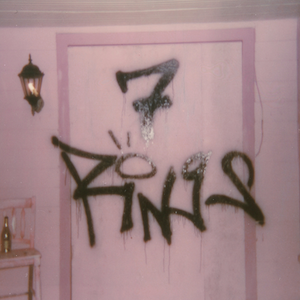 "Ariana Grande & 2 Chainz's New Song "Rule The World" Samples An Early 2000s Throwback — LISTEN". Bustle . Retrieved March 1, 2019. ↑ Rindner, Grant (March 2, 2019). "2 Chainz's "I Said Me" Samples "My Favorite Things" & "A Garden Of Peace"". Genius . Retrieved March 3, 2019. ↑ "ARIA Australian Top 50 Albums". Australian Recording Industry Association. March 11, 2019. Retrieved March 9, 2019. ↑ "Ultratop.be – 2 Chainz – Rap or Go to the League" (in Dutch). Hung Medien. Retrieved March 9, 2019. ↑ "Bryan Adams Is Back On Top With Shine A Light Debuting At No. 1". FYIMusicNews. Retrieved March 12, 2019. ↑ "Dutchcharts.nl – 2 Chainz – Rap or Go to the League" (in Dutch). Hung Medien. Retrieved March 9, 2019. ↑ "Le Top de la semaine : Top Albums Fusionnes – SNEP (Week 10, 2019)". Syndicat National de l'Édition Phonographique. Retrieved March 12, 2019. ↑ "Irish Albums Chart: 8 March 2019". Irish Recorded Music Association. Retrieved March 9, 2019. ↑ "NZ Top 40 Albums Chart". Recorded Music NZ. March 11, 2019. Retrieved March 8, 2019. ↑ "VG-lista – Topp 40 Album uke 10, 2019". VG-lista . Retrieved March 9, 2019. ↑ "Swisscharts.com – 2 Chainz – Rap or Go to the League". Hung Medien. Retrieved March 13, 2019. ↑ "Official Albums Chart Top 100". Official Charts Company. Retrieved March 9, 2019. ↑ Caulfield, Keith (March 10, 2019). "Hozier Debuts at No. 1 on Billboard 200 Albums Chart With 'Wasteland, Baby!'". Billboard. Retrieved March 11, 2019.